It was his eighth birthday, and no one picked him up from school. 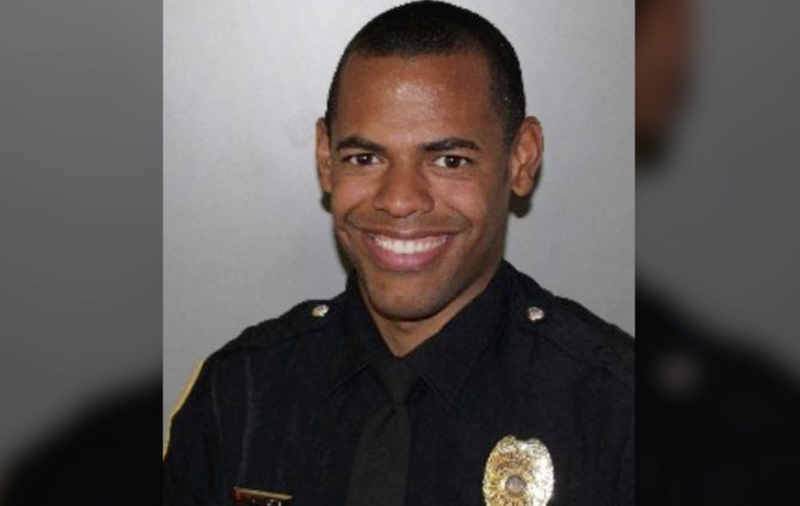 The boy sat in a school office, waiting for one of his family members to show up, when Officer Darryl Robinson arrived. The school called the Green Bay Police Department in Wisconsin after failing to reach an emergency contact. When Robinson walked in the door, he immediately recognized the boy — he's had some history with the family. The boy's parent is incarcerated, Captain Keith Knoebel explained to CBS News, though he wouldn't elaborate. "It seemed like he was in good spirits. He was playing around," Robinson said at a press conference on Wednesday. "He was excited. It was his birthday." Robinson volunteered to give the 8-year-old a ride in his patrol car. "He was very excited to ride in one," Robinson said. "I brought him to McDonald's, got him a sandwich. He loved playing with the toy in his Happy Meal." For about 45 minutes, Robinson spent time with the boy — talking, playing and showing him around the city — until he was able to get in touch with his grandfather and reunite him with his siblings. Robinson was just doing his job; he never expected the story to go viral. The police department posted about Robinson's kind act on Facebook, and the post quickly racked up thousands of likes and shares. "I think it's great, great for the community, great for our department to have a good relationship with the people in our city," Knoebel said. "It's a great thing." Hundreds of people praised the officer online, thanking him for taking care of the child in need. "What a fine officer. No one is more committed to the community than Officer Darryl Robinson," one Facebook user wrote. "That little boy will remember that for the rest of his life." "I think i just felt my heart break," another wrote. "Thanks to the officer for making that boys birthday a little better." Birthday or not, Robinson said he would have acted in the same manner. "Officers do this every day — not just police, but different public service jobs as well. All of us do this. It's not rare," Robinson said. "I think it doesn't get recognized enough." This won't be the last time Robinson expects to see the boy, and he hopes it will be under better circumstances. "I do plan on making contact with him in the future and checking on him to see how he's doing," he said. "If he wants to come tour the police station or see more things that we have to offer here — and play with the lights and stuff, we'll be happy to do that."